The “Road Map for Crisis Communication of Nuclear Regulatory Organisations. National Aspects” (also in Spanish: “Manual de comunicación de crisis para las organizaciones reguladoras nucleares. 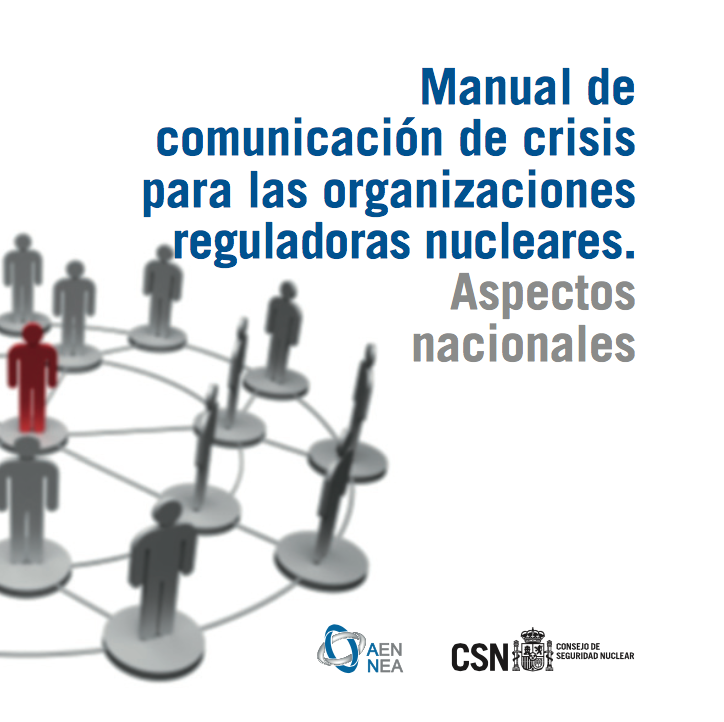 Aspectos nacionales”) aims to improve the effectiveness of crisis communication management of nuclear regulatory organisations under all types of critical situations (from anomalies to major accidents). The road map is based on survey findings at national level and highlights essential elements to be considered in each stage (pre-crisis, during and post-crisis). The international dimension of the communicative response to crisis was later on addressed at the International Workshop “Crisis Communication: Facing the Challenges” held in Madrid on 9-10 May 2012. Merience collaborated in drafting both documents: the road map and the proceedings of the workshop.